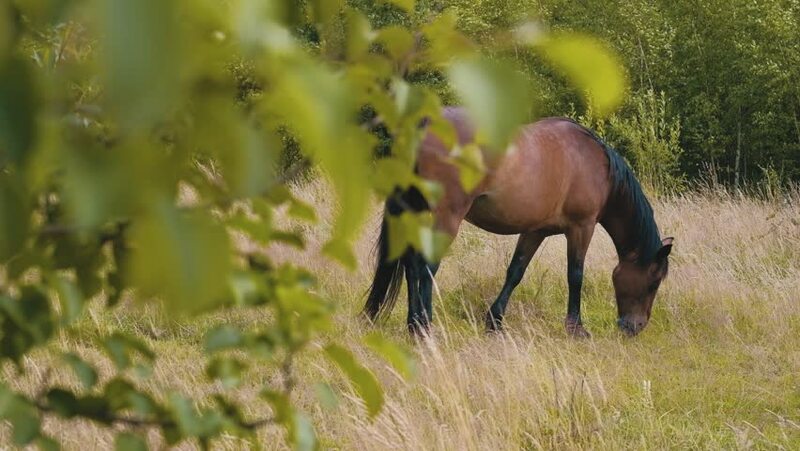 hd00:12Brown horses grazing in woodland in National Park New Forest, England. hd00:22White tail deer, does and fawns in a meadow with wild turkeys. hd00:11Cows standing after eating dry hay and grass on the pasture of a farm in the north of Thailand on a rural scene in the field at harvest time ago, the countryside in the evening time.